"I am Cynane, daughter of Eurydice and Phillip of Macedonia!" "That's not medieval, that's like... ancient!" "My Lord Macbeth, thou didst with brandished steel, which smoked with bloody execution, like Valor's minion carve out a passage trough yon enemy!" "So when you steal from the people, you're just adding to the misery, everyone hates you, eventually someone turns you into the sheriff and you all hang..."
The S.K. 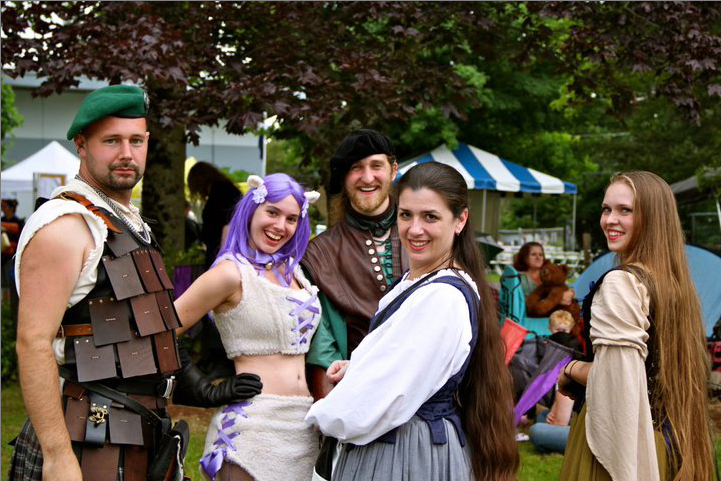 Players are the Seattle Knights in a more theatrical vein, swapping armor and horses for kilts and comedy. The Seattle Swashbucklers are the Seattle Knights with rapiers instead of broadswords, a dash of lace instead of leather. The S.K. Players and The Seattle Swashbucklers display their skills with rapier and repartee with plays and skits suitable for any audience, written by some of our top performers. 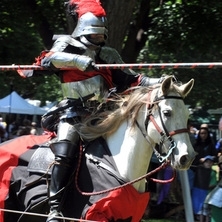 Whether performing at Highland festivals, Renaissance Faires, or treading the boards in more traditional theaters, The S.K. Players always live up to our motto, "Education Through Entertainment". For more information about the S.K. Players and the types of skits they perform, please click here.